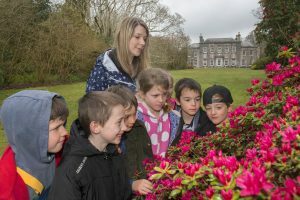 With one of the loveliest gardens in the country on their doorstep, the lucky pupils of Probus Primary School are able to get hands on experience when learning about nature. 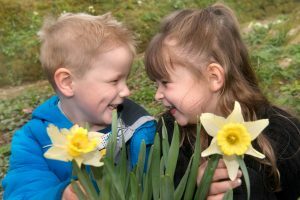 Last week all 92 Key Stage 1 pupils visited Trewithen Gardens to kick start their summer term topics. Reception pupils are focusing on insects, mini-beasts and the habitats they live in. 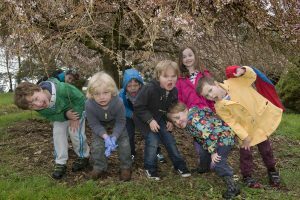 Year 1’s topic is Enchanted Woodland and the garden provided the perfect place to look at a diverse number of trees, create dens and make wooden jewellery. For Year 2 pupils, the topic title is ‘Wriggle and Crawl’. They spent time exploring Trewithen’s bug hotel and the insects lurking beneath logs and leaves.